Could that ache in your bones be telling you something about the weather? Some swear that they can predict storms based on joint pain or body aches. Is there any truth to this? If so, how can you prevent pain caused by weather changes? How about weather changes and fibromyalgia? Let’s find out. Some people like to poke fun at those who say a storm is brewing since they feel it in their bones. However, there appears to be a lot of truth in this phenomenon. It was scientifically proven by Robert Newlin Jamison, Ph.D., professor of psychiatry and anesthesiology at Harvard Medical School. Dr. Jamison’s study followed a group of people with chronic pain from four major cities across the United States. 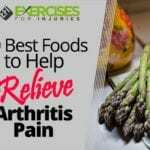 Interviews showed that about 35 percent of the participants stated that weather changes affected their pain. Plus, they said that the pain appeared up to a few days before a storm appeared. It turned out that these claims were largely verified. Many people attribute their pain to damp or cold weather, but the real culprit may be atmospheric (barometric) pressure. Typically, falling barometric pressure appears before a storm rolls into an area. This is why people can feel the symptoms before it rains since the pressure in the atmosphere has already started to change. The theory is that when atmospheric pressure falls, the tissues surrounding joints can expand. This can lead to increased pressure or pain in any area of the body affected by prior injury, disease or arthritis. Another reason why joint pain may increase with cold weather has to do with temperature. When your body detects cold, the normal reaction is to divert more blood flow to the core of your body. This means less blood reaches the joints and muscles, which may affect pain sensation. Why does the weather only affect some people with chronic pain? One reason might be the level of pain you experience. This could happen at both ends of the spectrum. If your pain is fairly light, or very severe, small changes might not be noticeable. Still, the more logical reason for the difference may have to do with nerve endings. When nerves are compressed, they become more sensitive. So, if a nerve ending is located in an area that changes with pressure, then you might notice the changes in weather more. On the other hand, someone with nerve endings in a more stable body part might not feel the changes as dramatically. As you can see, this is a diverse list, and each problem might be affected differently by weather changes. 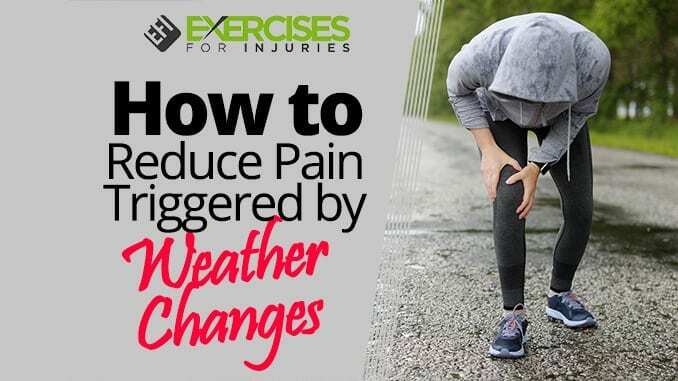 Now, let’s take a look at some ways to prevent weather-related effects on pain. There’s a lot of debate about whether or not where you live affects your pain levels. For example, in Dr. Jamison’s study, people from San Diego reported more sensitivity to weather changes. This surprised the researchers because San Diego has a warm and mild climate. Even though in San Diego weather changes had a greater effect on pain, this doesn’t mean that people who lived in San Diego experienced more pain in general. If you notice you feel better when you visit Arizona, there may be other factors at work. For starters, when you’re on vacation, you tend to be relaxed and may not move as much. You don’t have to work, cook or clean up when you stay in a hotel. Emotional relief may also relieve physical pain. So, a leisure trip might not reflect your day-to-day reality. Still, for those who have severe pain due to climate changes, it might not be a bad idea to relocate to a place with more stable weather. The trade-off here is that it appears that our bodies get used to the climate where we live. So, even though you may have less-frequent weather-related symptoms, they may be more severe when they occur. Make it a daily habit to check the forecast in your area. If you notice bad weather in the next few days, be prepared. For instance, the day before a storm you might not want to plan a lot of physical activity. Also, if your doctor agrees, it might be worth adjusting any medication you use for pain. This could take some experimenting — again, with a doctor’s guidance. Let’s say you know a storm is coming. You might get the best results by taking more medication 24 to 48 hours before the change in weather. That way, your body is prepared before the barometric pressure begins to fall. This kind of preventative measure may take the edge off the pain before it gets much worse. Even though it appears that the main factor in weather-related pain is atmospheric pressure, your body temperature might play a role as well. If you have a particular joint that hurts, you might want to wrap it up the day before the storm arrives. You could even try a heating pad to the area. Even covering up your entire body with an extra sweater, long underwear and thick socks could help. If the blood flow theory is correct, keeping your core body temperature up should be a way to divert nourishing blood to aching joints. Another reason cold affects you could be stress related. If you feel cold, you feel uncomfortable. 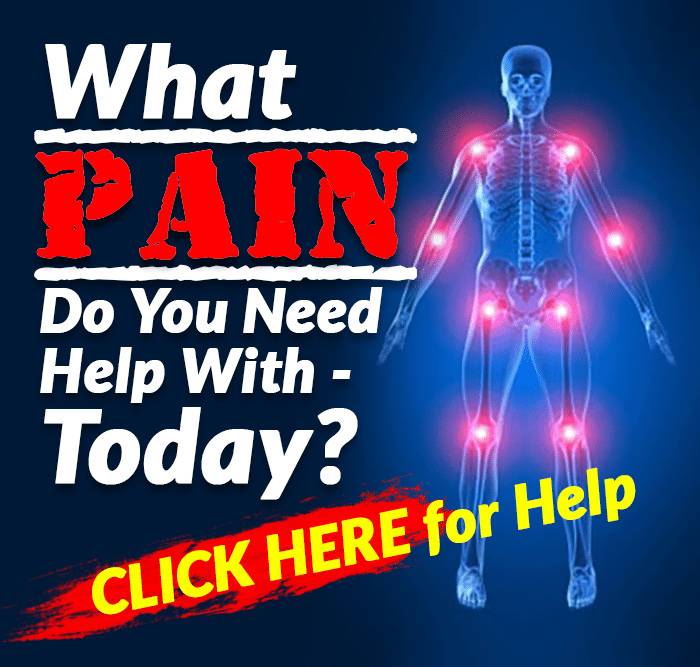 Perhaps by preventing this discomfort from the start, you could also reduce your pain. If you have arthritis in your hands, you may feel worse when the weather starts to turn sour. In these cases, swelling might be part of the problem. 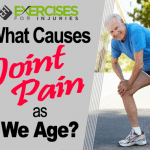 Swollen tissues put more pressure on the joints which causes pain. Some people claim that wearing spandex gloves with a firm fit help control swelling and reduce pain. For people with fibromyalgia, almost any kind of weather change can worsen your pain. Hot, humid and cold wet weather appears to be especially disturbing. Even just cloudy, damp days can cause pain levels to spike. One of the ways to deal with this is to make sure your home heating and air conditioning are optimal. The more control you have over the temperature in your home the better. Don’t forget to install good insulation and make sure windows seal shut. This not only keeps things inside more stable but also helps you save on energy bills. Still, many fibromyalgia sufferers also require extra measures like heating pads when things get cold. There’s no doubt that inflammation in your body is affected by diet. 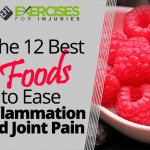 If part of your pain problem is affected by inflammation, then it makes sense to reduce it. This may not lead to less weather-related pain, but it may reduce your overall pain level. In this way, weather changes might not be as difficult to handle. When the weather turns bad, there’s nothing like a hot cup of tea to lift your mood. For those with chronic pain, you might try ginger tea. There are several reasons for this. First, ginger is considered an immune modulator that may reduce inflammation. Also, ginger may mildly increase your body temperature, thus driving healthy blood to tissues that are hurting. Finally, ginger tea can help relieve nausea, which might accompany pain or be associated with pain medications. One of the most important things in dealing with any illness is a positive attitude. If you see inclement weather on the horizon, try not to let it get you down. Remember, it won’t last forever. The sun will eventually come out again. Keep a hopeful attitude, and it will go a long way in helping you manage your pain. 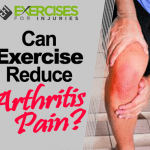 Can Exercise Reduce Arthritis Pain?